August 29 marks the birth anniversary of India’s hockey wizard, Major Dhyan Chand. A phenomenal athlete, Dhyan Chand put India on the map back when the world continued to plagued by bloodshed and political tensions. In his honor, this day also celebrated as India’s National Sports Day, where various sports heroes of the country are felicitated. The celebration also, in a way, underscores the importance of developing a positive attitude towards sports, encouraging the popularity of games and sports and providing an opportunity to youngsters to prove their mettle at whatever sports they might be playing. Inarguably, there is no dearth of sports talent in India, but we need to know how to convert these yet-to-be-discovered players into world-class sportspersons. While there are issues about infrastructure and facilities provided to players, the positives are that despite the lack of funds, there is a hunger within the sportsperson to win and do well for India. Mumbai-based Oscar Foundation, carries the dream to see the Indian Football Team play at the FIFA World Cup. They are steadfast and want to provide as many opportunities as possible to children who aspire to be professional footballers. They have been uplifting the youth from economically and socially-backward communities through football, nurturing leadership, nutrition, education and teamwork over years. 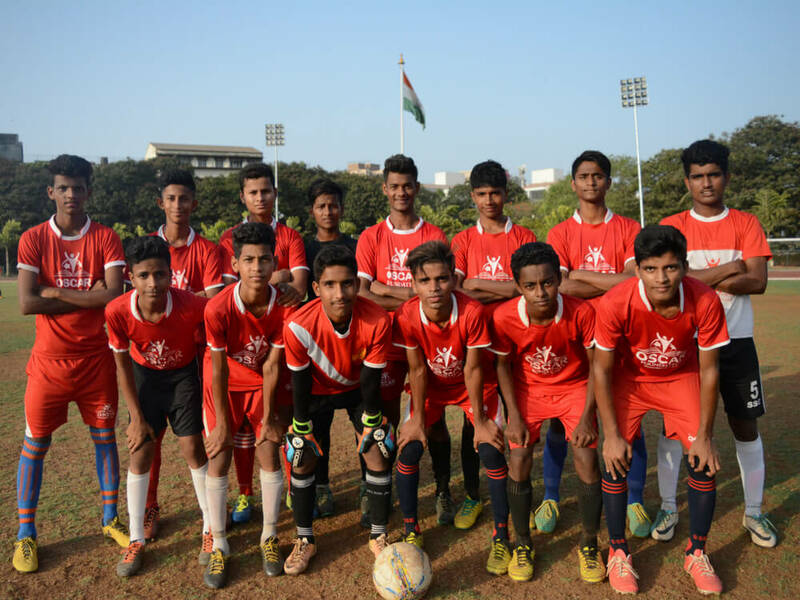 Milestones: This year, Oscar Foundation has U13 and U15 team participate in the I-League. The need from their lens: “We need more grounds in India. Whenever a kid steps out of his house, he or she should have a place to play. In addition to this, we need to provide children who take up sporting activities with the right nutrition. 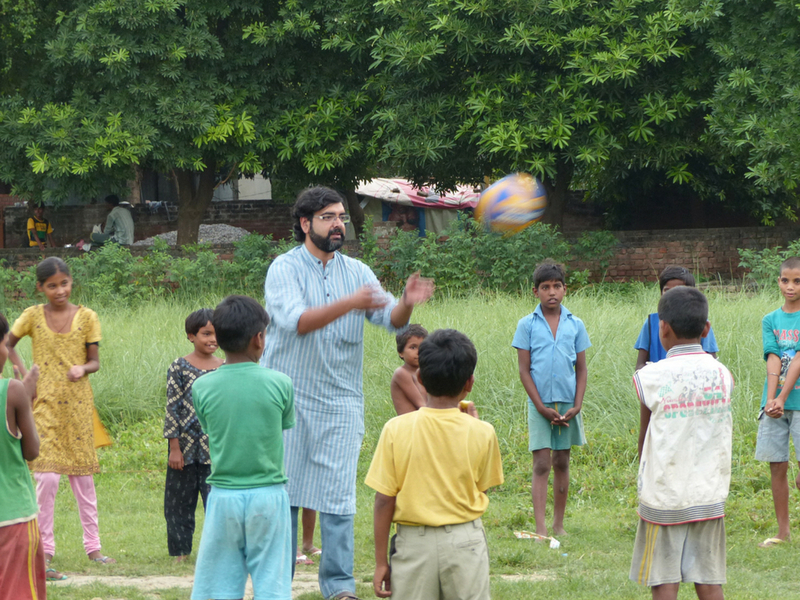 I think India has a lot of talent at the grassroots level, but not everyone gets a fair chance. I believe that there has to be more transparency in the selection process. When the selection process becomes more honest, we’ll see grassroots talent shine. The education system in India should give equal importance to sports and academics and teachers and parents must be encouraged to develop a positive attitude towards sports.”, says the Founder, Ashok Rathod. Booster for their kids: “Chaar guna lagaan bharna padega, agar apne aap ko shaksham nahi banaya toh.” is what Ashok says to prep his team up! The Naz Foundation (India) Trust is a Delhi-based NGO working in the thematic areas of Health, Gender, and Rights since 1994 and using sports as a medium to create change and empower women. Naz’s focus has been to provide inclusive and quality sports at grassroots level and to increase awareness around sports through their flagship YPI (Young People’s Initiative) Program where the girls and boys can develop and exercise their sports and life skills, initiated through the game of Netball. Milestones: YPI provides crucial life-skills education running in Government schools of Delhi, Maharashtra, Karnataka , Punjab and Tamil Nadu, using sports and play-based games as tools to build leadership skills among young people. YPI has provided sports equipment, sports infrastructure, and safe spaces to play to more than 75,000 adolescents and youth for free since 2006 in addition to establishing Netball clubs to organizing state and national-level Annual Netball tournaments. 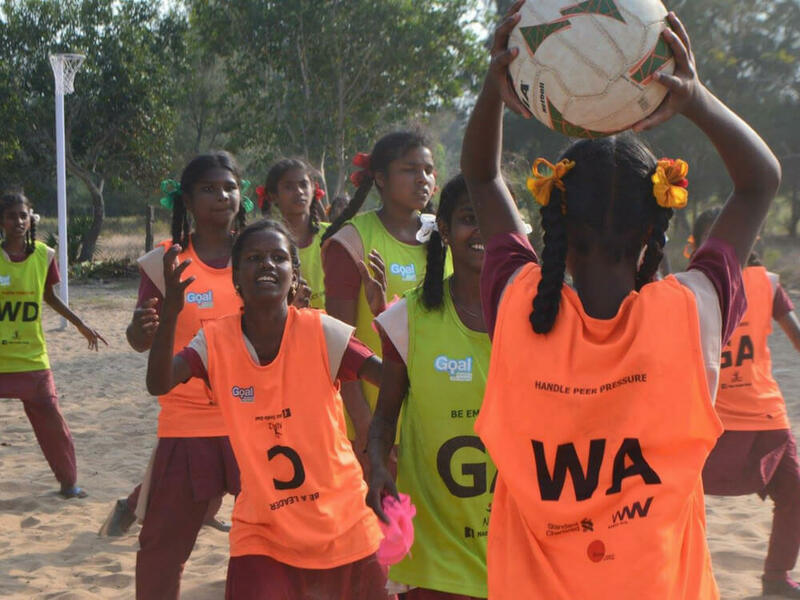 “The girls turned out to be our strength, once they started playing and experienced the joy and power of play, we witnessed incredible transformation. We could see the change in their body language, they were able to find their voice, stand all, and claim public spaces. Sport literally helped us level the playing field.” – said Kalyani Subramanyam, Program Director. 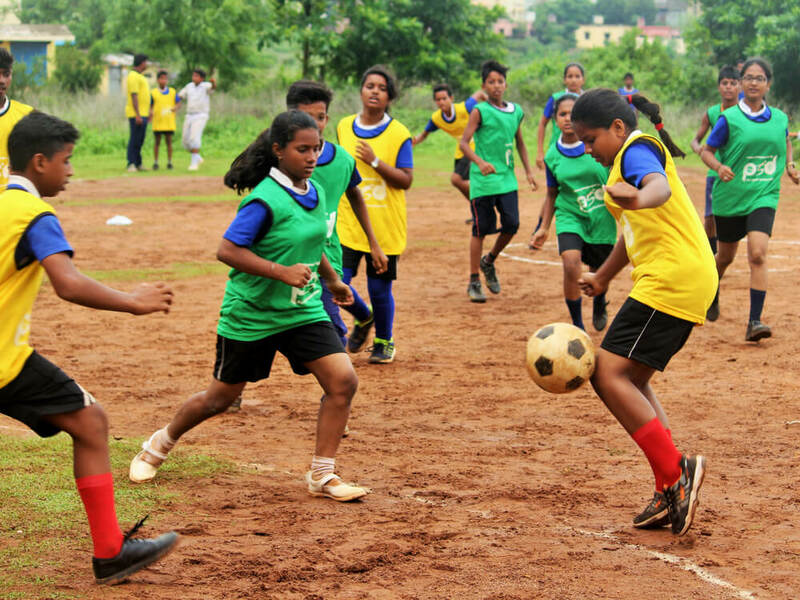 The need from their lens: Sports is considered a luxury in India and there’s an unequal access to sports infrastructure and coaching facilities for low-income communities, especially those enrolled in Government schools and a majority of Municipal schools. India needs to create infrastructure support for people from every class to access those facilities for free and build public multi-sport courts to encourage community engagement. Creating safe spaces, having female coaches, engaging parents, and making sport more inclusive is important to encourage more participation of girls in sports. The role of sports: Sport teaches valuable life lessons- it prepares you for the tough times and teaches you how to celebrate the victories. Sport is for everyone and not just for the talented. Naz has seen that children have learned the skill of time-management through sports, they have grown more comfortable with their bodies and it has helped them gain better concentration in studies. Through a unique model of PLAY. PERFORM. PROSPER where a child is introduced to the power of sports through structured program in low-income schools & communities, Khel Khel Mein Foundation focuses primarily on a ensuring a structured platform for children to PLAY and promoting holistic (physical+mental+emotional+social) growth through sports. Started by a bunch of passionate TFI fellows, they dream of a self-sustainable sports culture and their vision is a larger cultural shift about sports and through sports. Their solution to the problem is transforming state of sports in a community keeping child at the centre. Pro Sport Development (PSD) is a social enterprise, based in Delhi, whose mission is to utilize the power of sport to empower children and youth, especially those from disadvantaged, marginalized and rural backgrounds, by aiding in their holistic development. With its outlook of providing “Sport for All”, PSD strives to lay a sporting foundation at the grassroots by facilitating the access of sport and physical activity to children and youth, to allow them to master fundamental movement skills, experience different sports and learn various soft skills and sporting values. Motivation: The positive impact that sport has – the joy while participating in sport, the ability to inculcate sporting values and soft-skills in their daily lives and the growth of confidence in their abilities, keeps PSD team motivated. This is why Suheil F. Tandon (Founder, Pro Sport Development) believes that youth should be taught to play for play’s sake and not for trophies as those are just by-products. The need from their lens: In terms of sports infrastructure in India, PSD believes that the critical need is for the building of sports facilities bottom-up, starting from the grassroots. The focus needs to be on developing good-quality, accessible and practically convenient sports infrastructure in schools, residential colonies, public parks, panchayats and villages, which is locally managed and maintained. This will ensure more children and youth participate regularly and sustainably in sport, to start developing a sporting culture at the grassroots. Founded in 1997, Youth Reach has been creating opportunities of returns to key community needs and has been successfully running a Programme called ‘Youth for Sport’ through which, they envisage to instil the values of fairness, discipline, team spirit, sharing, honor, equality and above all fun for the child. Milestones/Accomplishments: ‘Youth for Sport’ gives disadvantaged children the same opportunity to play sports as any other child. They started a Squash Programme with the objective to provide training and coaching to children from disadvantaged backgrounds. This programme was being conducted by professional squash trainers at the DDA Badminton and Squash Stadium, Siri Fort Road, Delhi for 3 years. 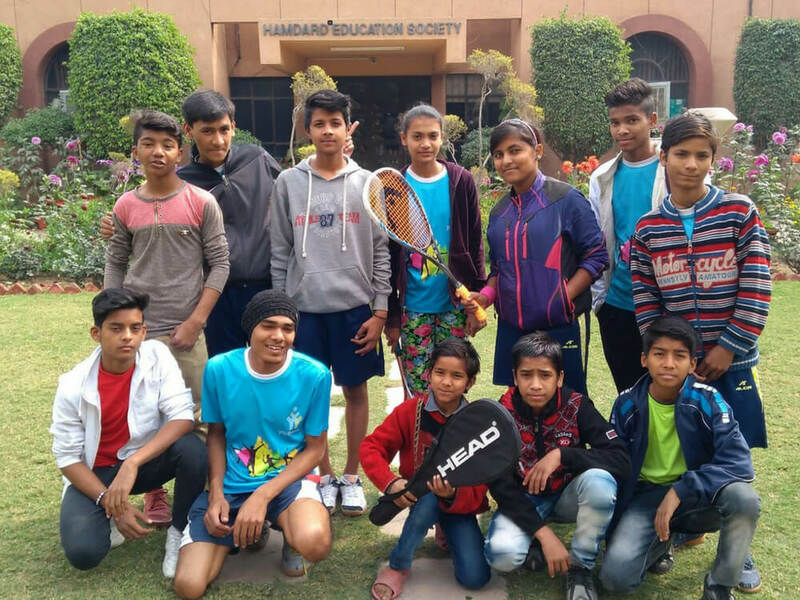 At present this programme is being conducted by a National-level Squash player, Gaurav Nandrajog, at the DDA Vasant Kunj Sports Complex for 25 children. Players from the ‘Youth for Sports’ have participated in the National and State level tournaments and impressed the audience in all the tournaments participated in Delhi, Kolkata, Jodhpur and Chandigarh. The children are now playing for the Sub-Junior/Junior National Squash Championship being conducted by the Squash Rackets Federation of India. Founded in 2010 in Kolkata, Khelo Rugby is a project of the Jungle Crows Foundation that takes Rugby, sporting and social development opportunities into disadvantaged communities. They work with the mission that Sport is good for: MIND – BODY – SPIRIT – PEACE – HEALTH and strive to deliver this to people through the sport they love- Rugby. As of now, Khelo Rugby is active in 35 locations in Kolkata, 5 villages in and around Saraswatipur and 8 locations in Bengaluru. Khelo Rugby begins by taking a Rugby ball into underserved communities. They have their own curriculum which explores a different social issue each month, and they choose to work on the development of coaches, carry out community initiatives – at all times, being led by the children they are playing with. Motivation: While growing up playing Rugby, the founders believed that the sport they love has a tremendous amount to offer youngsters. They think play and sport are critical in the development of children and want the children that play with them to become role models for their communities, understanding the impact they can make and leading their generation. They wish to be led by the children, and hope that the children make their decisions and chart the path of Khelo Rugby. The need from their lens: According to the Jungle Crows, there should be thousands of safe spaces for children to play in schools and communities. Team Jungle Crow believes that if you get the foundations right, you can build anything. There are excellent examples of this that they get inspired by and knows that we need many many more such. Milestones: They were announced as a “Spirit of Rugby” partner of World Rugby, one of only five across the world and the only programme from Asia in 2017. Booster for the players: Trust each other and work as a team. It’s all about getting the basics right. Work hard to keep the inner child inside you motivated and fit as you do on anything else – keep the spirit! Lucknow based Project KHEL is a non-profit that works towards empowering adolescents, paving the way to a more equal and inclusive society. Born out of the vision to reimagine education beyond the classroom, they leverage the ‘power of play’ and principles of ‘safe spaces’ and ‘gender sensitivity’ for the holistic development of children, to create secure adults for a better tomorrow. Project KHEL does not aim to identify or nurture sportspersons who will compete at the state or national level. Rather, the aim is to make more children play and use sport as a tool to build several essential life skills and learnings. Their flagship sport is Ultimate Frisbee and being the self -officiated and mixed gender sport that Frisbee is, it is well-aligned with Project KHEL’s overall aims and through their promotion of this sport Lucknow is increasingly being recognized as one of the centres for Ultimate in India. Accomplishments: Project KHEL has successfully reached out to more than 2500 children through their regular life skills education through play programme – ‘Made in Maidaan’. At present more than 1200 adolescents are engaged with the programme. With mere 2 years of experience Project KHEL’s A team – the Awadh KHELadis is playing now at the national level. Booster for the team: Project KHEL believes in the power of positive reinforcement. “There is good in every child, even the naughtiest of them.” is something, the Founder, Akshai Abraham, believes and lets each and every team member repeatedly know. They follow a debrief system wherein they try to change the lens to what the facilitators failed to do to engage with the child. There are a bunch of more such non-profits fostering sports and we shall keep updating this list as we come across them!